Lakeland Plastics, founded in 1962, has over 50 years of experience in making the highest quality plastic extrusions. From simple tubing to large complex parts that have been used in submarines, Lakeland has the knowledge and ability to make your plastic extrusion to the highest standards. With 9 primary production lines and 4 co-extrusion lines, Lakeland has the capacity to handle any order from small prototype trials to large production runs. Our full in-house tool room ensures that we have control of the process from start to finish. There is no waiting for tooling modifications or changes, we make the changes and get the die right back on the machine. Lakeland manufactures custom plastic profile extrusions for a variety of industries, including point-of-purchase (POP), commercial fixtures, lighting, furniture, building and construction, refrigeration, telecom, water treatment and signage as well as OEM applications using standard and custom dies ranging from t-moldings, price tickets, cap channels to corner connectors, or custom plastic profile extrusions for unique applications. Custom thermoplastic extrusions are versatile and are well suited to applications across a diverse range of business verticals and industry sectors. Extruded Plastic profiles and plastic rod or tube extrusions can be rigid or flexible. Co-extruded or tri-extruded plastic profiles can combine two or three different materials or colors in a single custom profile. 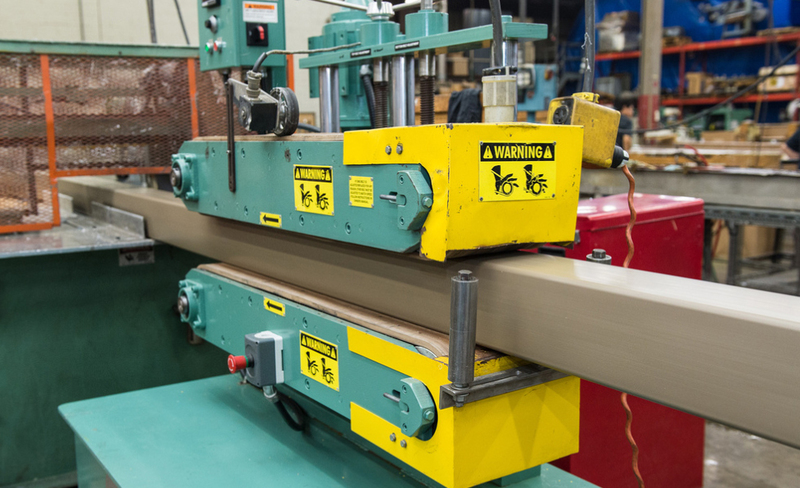 As one of America’s top-rated plastic extrusion companies, Lakeland can assist you with all of your plastic extrusion needs. Our state-of-the-art manufacturing facility allows us to produce custom plastic extrusions in a wide variety of shapes, colors and sizes, from small plastic tubes to large plastic profiles like the one shown below for the equine fencing market. Our highly skilled engineers have a great deal of experience with complicated designs, such as complex plastic profiles with variable wall thicknesses They can also assist you with the design and improvement of existing profile sections. An important part of what makes Lakeland one of the leaders in plastic extrusion is our team. With well over 100 years of combined experience, there aren’t many extrusion problems we haven’t seen. From our sales engineers and tool designers to the management personnel on the shop floor, Lakeland’s team stands ready to provide you with the highest quality experience from start to finish. Lakeland’s ability to design and manufacture co-extrusions and tri-extrusions, crosshead coatings as well as standard profiles and tubing gives us the capability to handle all of your plastic extrusion needs. Quality is first and foremost at Lakeland and you can have confidence knowing that Lakeland’s quality assurance and inspection procedures are ISO compliant. Around-the-clock, 24 hour a day production helps ensure that we can meet your unique scheduling requirements. If you are looking for one of the industry’s best custom plastic extrusion companies, you have come to the right place.